A nationwide roadshow to drum up support for environmental protection touched down in St. Petersburg on Saturday (Jan. 14). ST. PETERSBURG – Despite an early conflict that almost derailed the show, activists were allowed to deliver their message of resistance to those who would damage the Earth. Rice was speaking Saturday (Jan. 14) at a rally at the Ale and Witch in the Tower Plaza Courtyard in downtown St. Petersburg. Originally billed as one of the #Earth2Trump events, the rally almost ground to a halt when, organizers said, the property’s landlord asked that it be shut down and moved elsewhere. Among the concerns expressed were the size of the group. Some other retailers were worried that shoppers might not be able to reach their stores through the crowd. The landlord could not be reached for comment. After negotiations, organizers agreed to cover protest signs and remove any references to President-elect Donald Trump, in effect making it a rally about the environment and not politics. Also taken away was a four-foot acrylic globe carrying personalized messages collected at this and past rallies to be delivered to Trump on Inauguration Day. “The building owner is uncomfortable with us, and we are respecting that. Therefore, this will be an apolitical event. 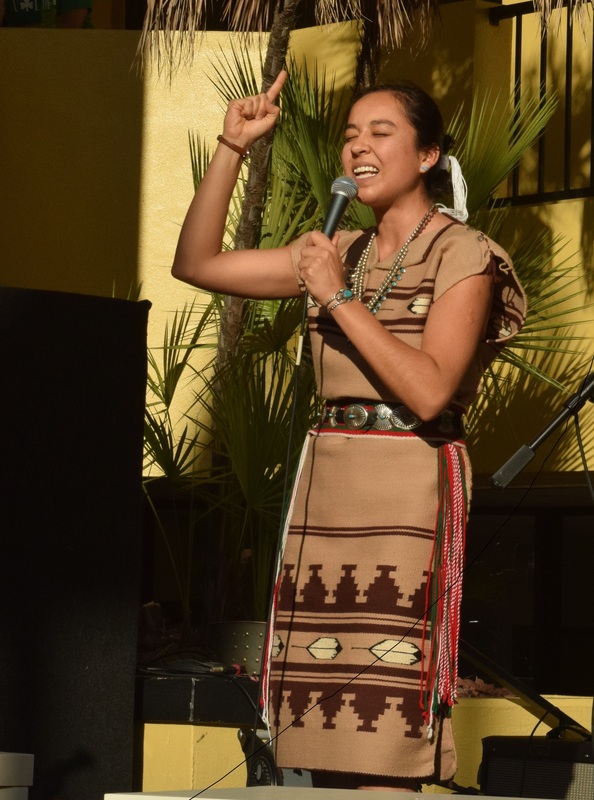 It is going to be about the environmental issues we care so deeply about,” Jacki Lopez, Florida director for the Center for Biological Diversity, told the crowd of approximately 250 attendees before beginning the rally. “When life gives you crap, you just make compost,” Lyla June said. “So, we’ll make something beautiful out of this afternoon.” June, a poet and musician, is a member of the Diné tribe of New Mexico. She performed a mixture of poetry, rap, and story-telling through song. The #Earth2Trump Roadshow is a national tour that kicked off in Oakland, CA, and Seattle on Jan. 2. The show, using national and local speakers and entertainers, is stopping in 16 cities on its way to Washington, DC, for Friday’s (Jan. 20) Inauguration Day. The goal of the national tour is to help develop a national resistance to what organizers see as Trump’s “dangerous” environmental agenda. 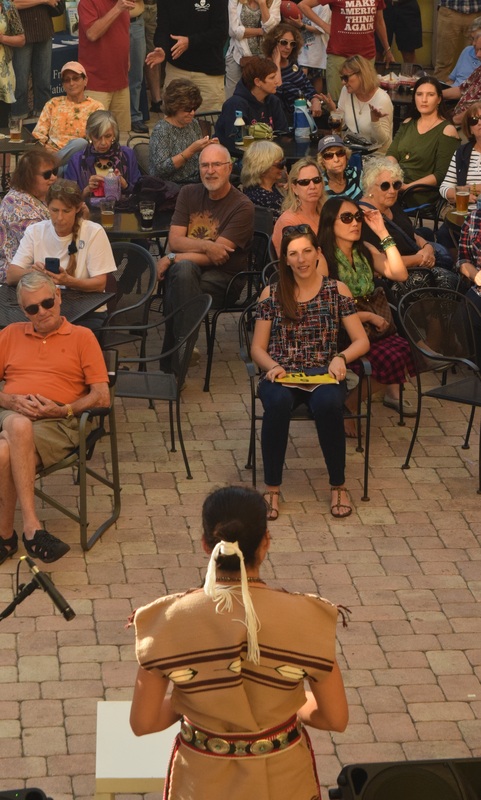 The national tour is organized by the Center for Biological Diversity in coordination with Food and Water Watch, Sierra Club, Service Employees International Union, Suncoast Waterkeeper and Caloosa Riverkeeper. Local organizations include Keep Pinellas Beautiful, Environment Florida, Greenpeace, and Friends of the Tampa Bay National Wildlife Refuges. For information about #earth2trump, go to biologicaldiversity.org. Photos of environmental rally by Shelly Steck Reale, TB Reporter correspondent.